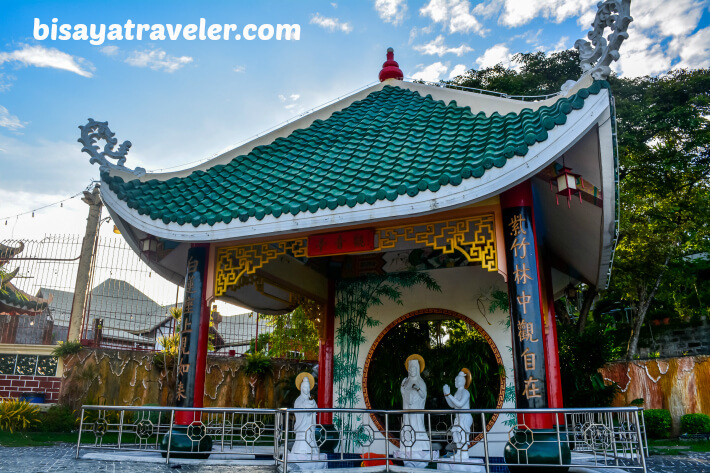 Cebu Taoist Temple is a gorgeous, laid-back and elaborate shrine that evokes a sense of peace as well as warm memories of my childhood. From family trips to educational school tours, I’ve been to this shrine on numerous occasions and have admired its beauty, ever since I was a toddler. And during my recent visit to this temple, I just can’t help, but remember the good times during my childhood and teenage days. But, I didn’t come to Taoist Temple, over a week ago, just for nostalgia’s sake. It’s been a while since I’ve made a sojourn to this place, and I wanted to see if it has retained its splendor. Plus, I was longing for an atmospheric, silent and beautiful oasis that would give me a quick break away from the city’s fuss and relentless energy. And of course, Cebu’s Taoist Temple fits the bill. 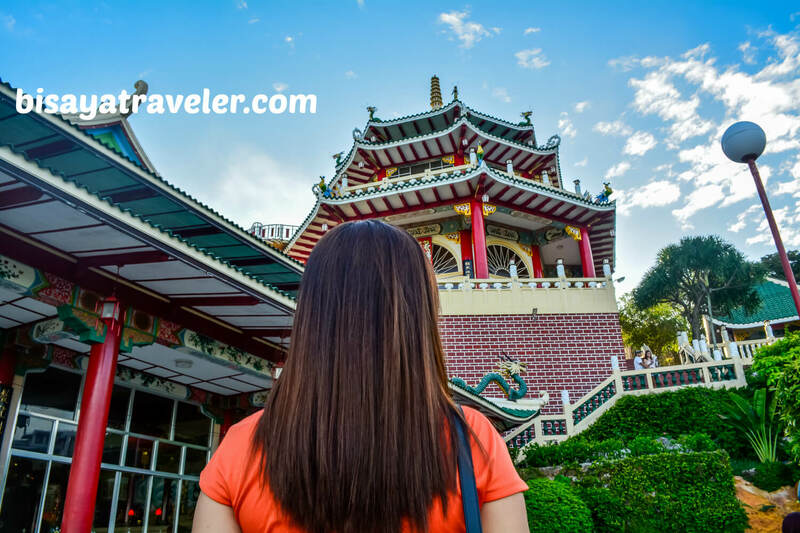 The Taoist Temple is a quintessential stop for most first-time visitors in the “Queen City of South”. After all, it’s a beloved and scenic place that’s often lauded as the most famous non-Catholic shrine in all of Cebu. What’s more, it’s one of the rare attractions in Cebu that won’t cost you a centavo. Whether you’re traveling solo or with a bunch of friends, you can step inside this sanctuary for everybody’s favorite of zero pesos. 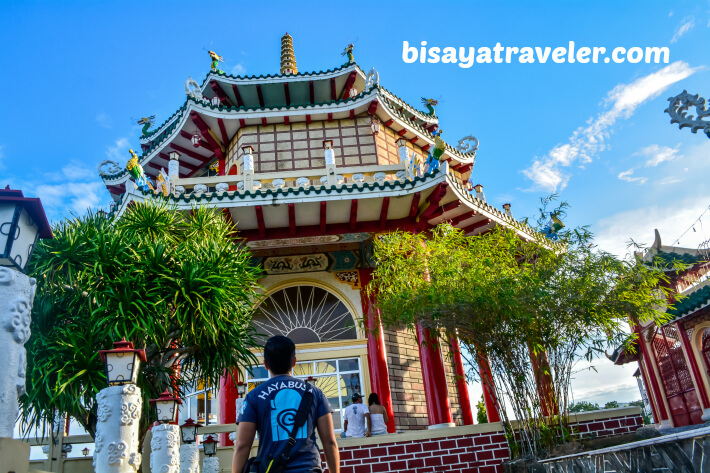 And though it’s the epicenter of Cebu’s Taoism religion, you can visit it even if you aren’t a Taoist devotee. The temple is nestled near a posh suburb in Cebu – Beverley Hills. It’s just 30 minutes to an hour away from the city center, and is a convenient location for Taoist devotees and the Chinese. From Cebu’s downtown Center, hop on a jeepney bound or Lahug, and ask the driver to drop you off at the side of JY Square. 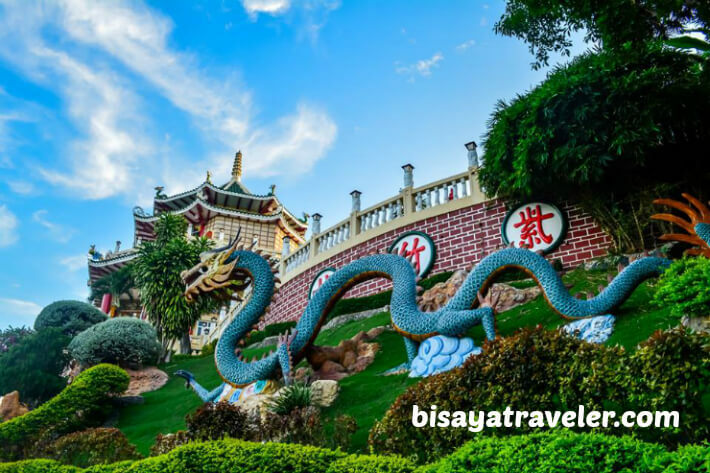 From there, hire a taxi that will take you to the drop off point of Cebu Taoist Temple. The ride will probably cost you around 40 to 50 PHP. Alternatively, you can take a habal-habal ride from JY Square. Unfortunately, though, habal-habals are not allowed to enter Beverly Hills Subdivision, meaning you’ll need to walk for a few kilometers if you plan to take this option. 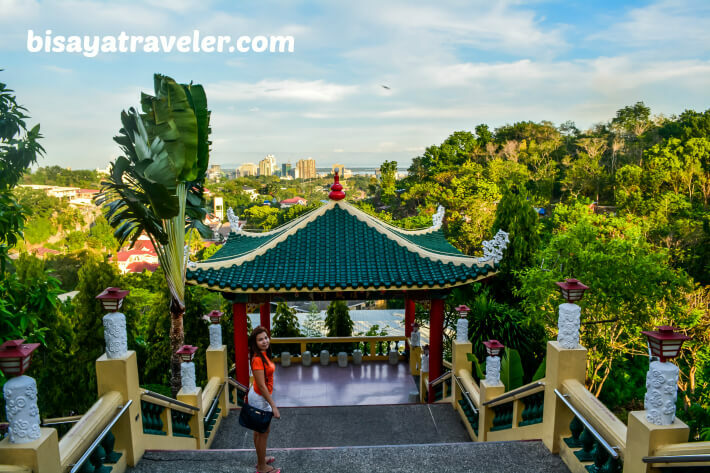 You can also include it as part of your tour in Cebu, when you purchase a tour package from a reliable operator like Tickets to Ride. According to some tour guides and the temple’s guards, there are three different winding paths that will lead you to the temple. We entered through a small door with Chinese designs that took us to a winding stairway, and a gazebo. Then, there was another stairway that led us to the site’s main façade. As a whole, the pathway looks a bit like the iconic Great Wall of China. I haven’t been there for about a couple of decades, so I can’t really remember the details and designs of the temple. But, when we entered the complex, I was utterly amazed by the intricate details and colors of the site. Quite frankly, I just can’t stop snapping photos of place, as we roamed around the temple. 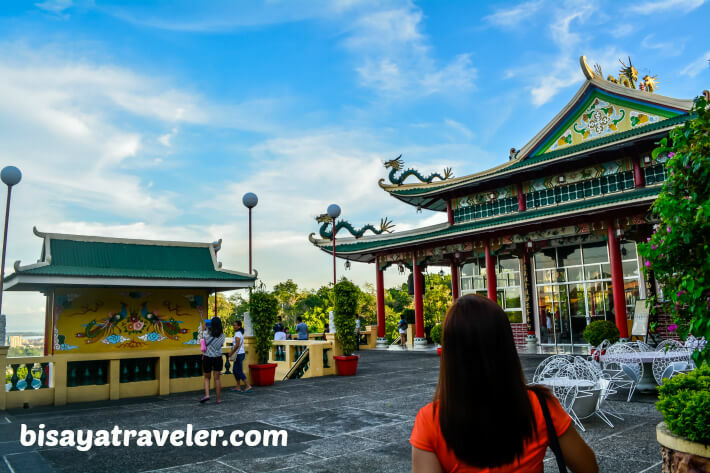 From the Chinese dragons standing on the rooftops to the yellow accents that perfectly match the blue skies, my visit to Taoist Temple was an absolute feast to the eyes. 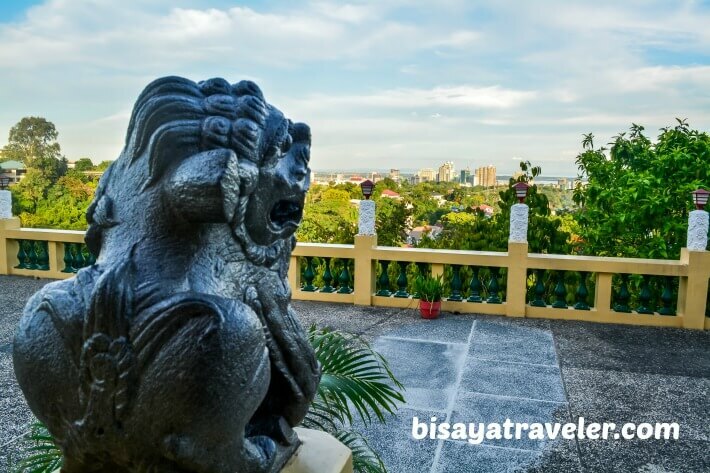 To make things even better, the temple offers a captivating overlooking view of Cebu and the different islands surrounding it, thanks to its impressive elevation of 980 feet above sea level. As a matter of fact, you can spot the islands of Bohol and Mactan on a clear day from here. As an added bonus, the site is littered with verdant gardens, a fountain, ponds, white and red lanterns, elaborate bells and striking stone statues. I must say it’s quite a fantastic place to practice your skills in photography. My partner even said that the temple, in some angles, looks quite like China and South Korea. 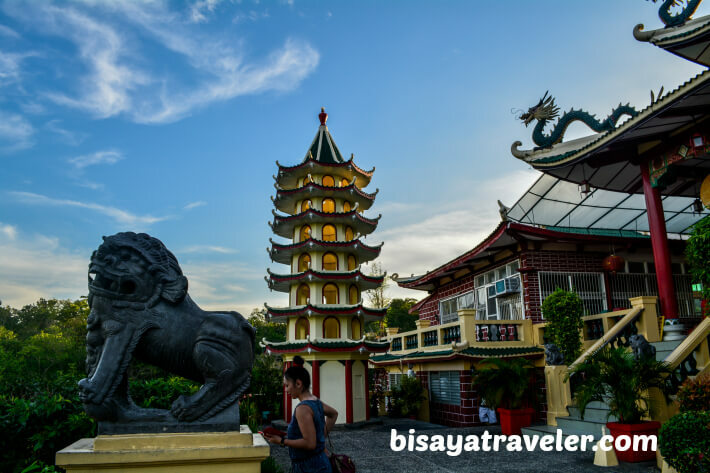 But, there’s more to Cebu Taoist Temple than its mesmerizing details and sights. As far as I’m concerned, it’s a great place to relax, unwind and temporarily escape the hustle bustle city life. Moreover, it has a souvenir shop that sells souvenirs that might bring you fortune as well as luck to your career or business. To top it all off, it’s a serene haven where you can light a joss stick, say your prayers (even if you’re not a Taoist patron), and communicate with God. And by the way, there are monks in the area that can give you an insight of your future. Even if you don’t share their faith, you must always keep in mind that it’s a sacred site for Taoist worshipers, and is a place originally intended for meditation and prayer. The last time I was here was when I was still in my 2nd year in high school during a field trip. It’s nice to see that the Taoist temple still maintains her grandeur. You made me grin with this blog post of yours. You really wanna know why? This spot is really close to where I stay, unfortunately, it was just recently when I get the chance to traipse my two little itchy feet to this famous tourist spot in Cebu.